In Greek folklore the color blue was believed to repel evil, including vampires. Painting doorframes and windowframes were said to keep vampires from entering the home. However, over in Eastern Europe, it was believed that those born with blue eyes would become a vampire after death, or were already a vampire. This was most likely due to the rarity of blue eyes in the area. Gypsies once used animal skins or hides to cover the body of a suspected vampire during the process of impaling since it was thought that if the vampire blood would splatter upon a human’s flesh they would go insane from the contact. These intelligent birds are sources of a wealth of folktales – even vampiric ones. 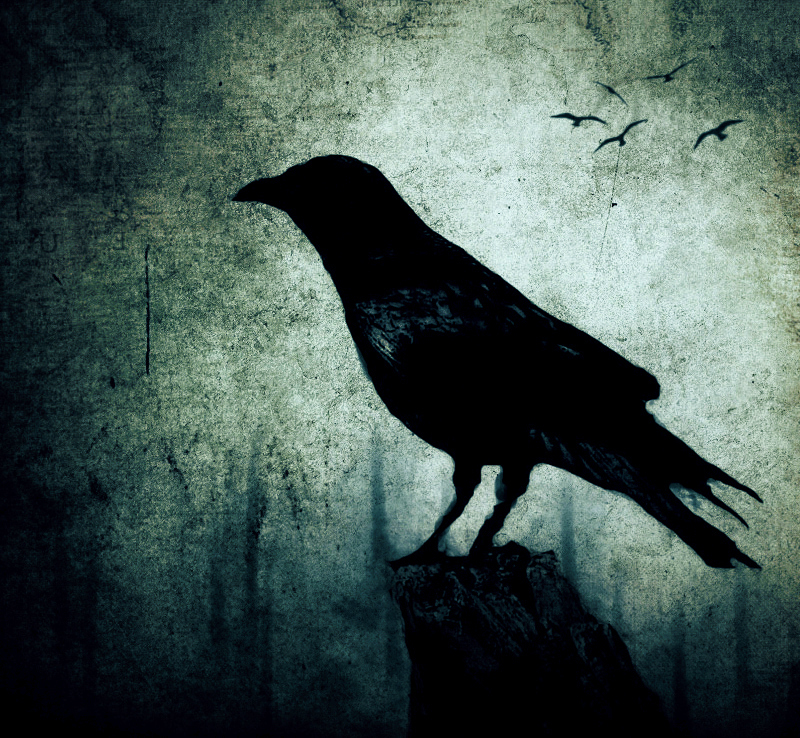 In European folklore these dark carrion birds were thought to be controlled by vampires. According to Gypsies, they could actually become vampires. Others simply believed crows were harbingers of death. In Slavic folklore a baby born with a tail or a nub at the base of its spine was thought to become a vampire after death. Another Gypsy myth. This one from Yugoslavian Gypsies, it claims that agricultural tools could become empowered by vampiric spirits if they go unused for three years. Some people believe that carrying a citrine crystal with you can protect you against the attacks of a psychic vampire. And that concludes this edition of Leech Lover Facts! For more click HERE and fill your head with vampire trivia. …agricultural tools could become empowered by vampiric spirits if they go unused for three years.